There’s never been a better time to build a website. 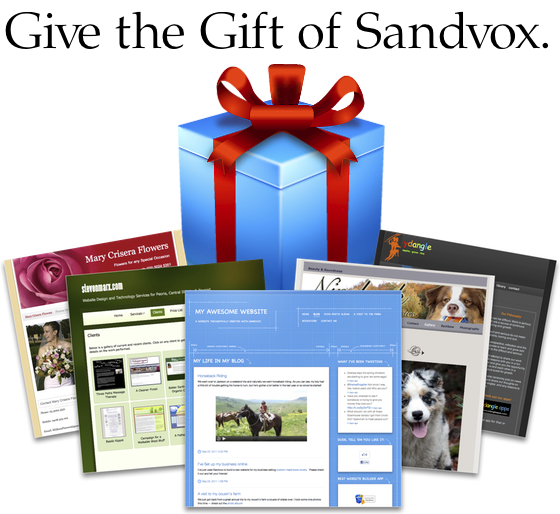 Give Sandvox today! Happy holiday wishes from Karelia Software!